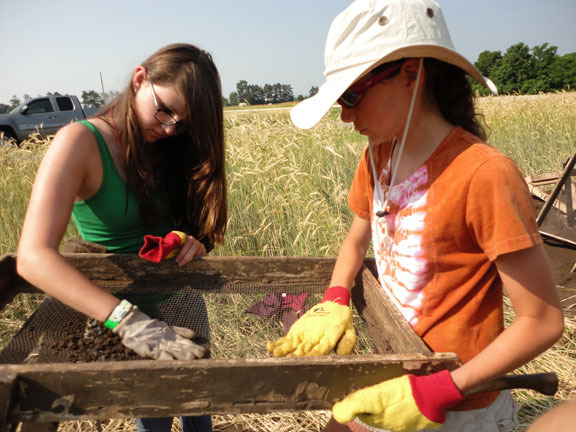 Every year we receive numerous requests for financial support from youth interested in participating in MVAC’s summer archaeology programs. This year we have limited funds available for scholarships. If you would like to contribute to the scholarship fund, please click on the link below and enter “STUDENT SCHOLARSHIPS” in the Comment section. Thanks for your support! 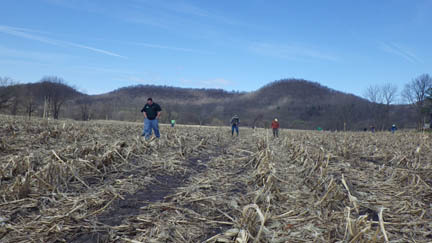 MVAC will celebrate Wisconsin Archaeology Month by involving volunteers in surveys of local fields to find unreported archaeological sites. The number of participants is limited, so register early. Children may participate if accompanied by an adult. 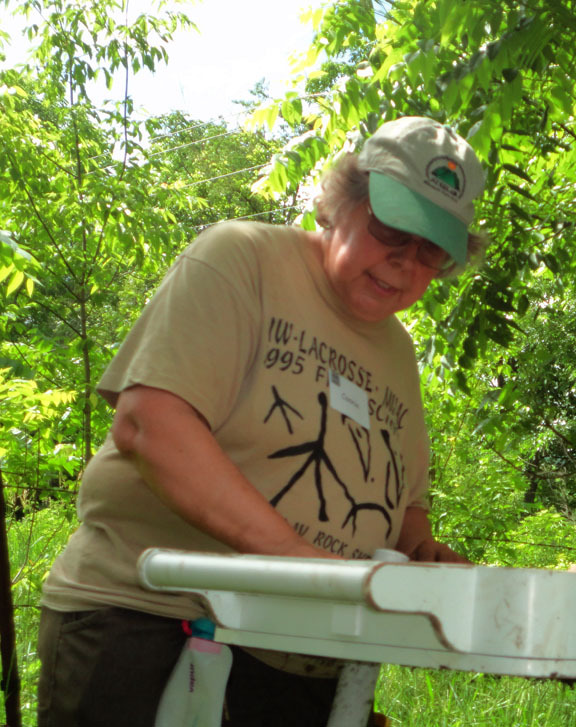 Constance Arzigian, Senior Research Associate at the Mississippi Valley Archeology Center, UW-La Crosse, will describe how archeologists determine during what seasons a site was occupied, what people were hunting and gathering, and how these things changed in southwestern Wisconsin over the last 10,000 years. Parallel journeys of discovery lead both the Greek philosopher Plato, who seeks an ancient book of wisdom and modern day Jonah Barnes, who seeks his missing archaeologist wife, to the very gates of Hades in this imaginative and intelligent tale of high adventure. 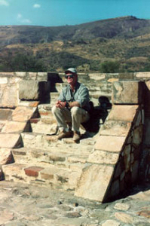 UW-L Campus News article about UW-L archaeology major, Thatcher Rogers’s Undergraduate Student Paper Award from the Society for American Archaeology. La Crosse Tribune article about UW-L archaeology major, Thatcher Rogers’s Undergraduate Student Paper Award from the Society for American Archaeology. Dr. Fagan’s lecture was well attended! 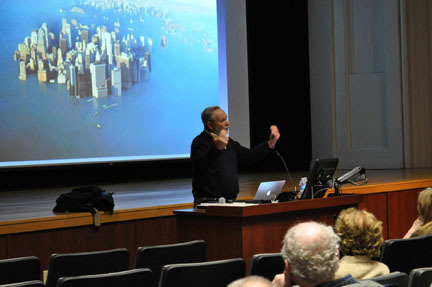 Over 225 people came to hear Dr. Fagan talk about rising global sea levels and how societies of the past adapted. Many in the audience also attended the reception and book signing at the UW-L Archaeology Lab after the lecture. 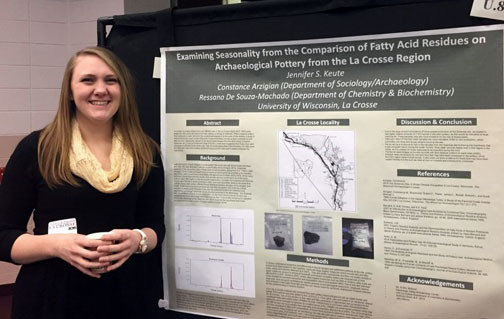 Approximately 20 Archaeological Studies Program students at UWL presented posters or gave oral presentations at the 2015 Celebration of Student Research and Creativity. Copyright © 2015 Mississippi Valley Archaeology Center at UW-La Crosse, All rights reserved.